When you think small business, think 1-10 people not 50-100. There’s an endless supply of 1-10 person companies. Who cares about the Fortune 500? It’s time to care about the Fortune 5,000,000. Forget the enterprise market. Forget the mid-sized company market. Build for the smallest of small companies and you’ll find a thirsty, neglected market waiting for you. The big office suites aren’t for them. The big project management apps aren’t for them. The big heavy spreadsheets aren’t for them. The bloated accounting and payroll apps aren’t for them. What they crave are low/no-learning curve, simple focused tools that let them get their work done quickly and then get out of their way. And I believe they’ll increasingly prefer that these apps will be hosted by someone else — who has time for IT, or installs, or update patches, or…? if you charge $50/month for an app, you have to get 200 users to pay your bills and pay yourself. In order to get modestly rich you need 2000 users. Are there even 2000 users in your niche? Are you financially prepared to wait around for 2000 people to sign up? Are you financially prepared to wait around for 200 people to sign up? It doesn’t happen overnight… or even in the next 6 months. 19 April 2006. 9 minute read. 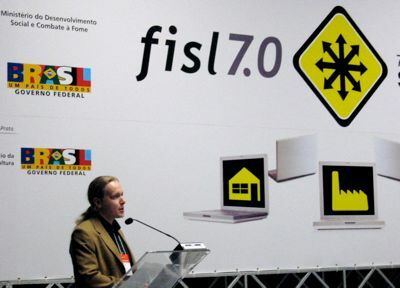 I just finished my Digital Business Ecosystem talk in the 7th International Free Software Forum, Porto Alegre. 24 February 2005. 3 minute read. I've spent the last two days in the Digital Business Ecosystem (DBE) Workshop arranged by Hermia Science Park in Tampere. 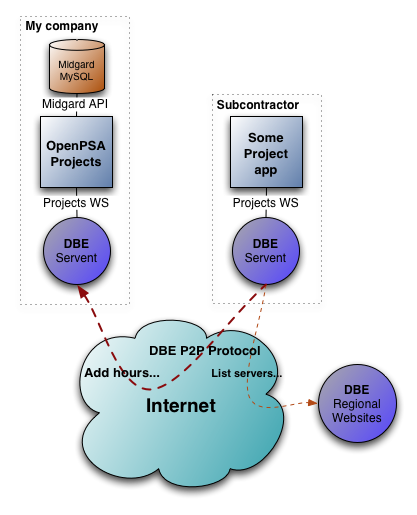 DBE is an EU-funded Open Source technology for enabling small and medium-sized enterprises to work together in P2P fashion.